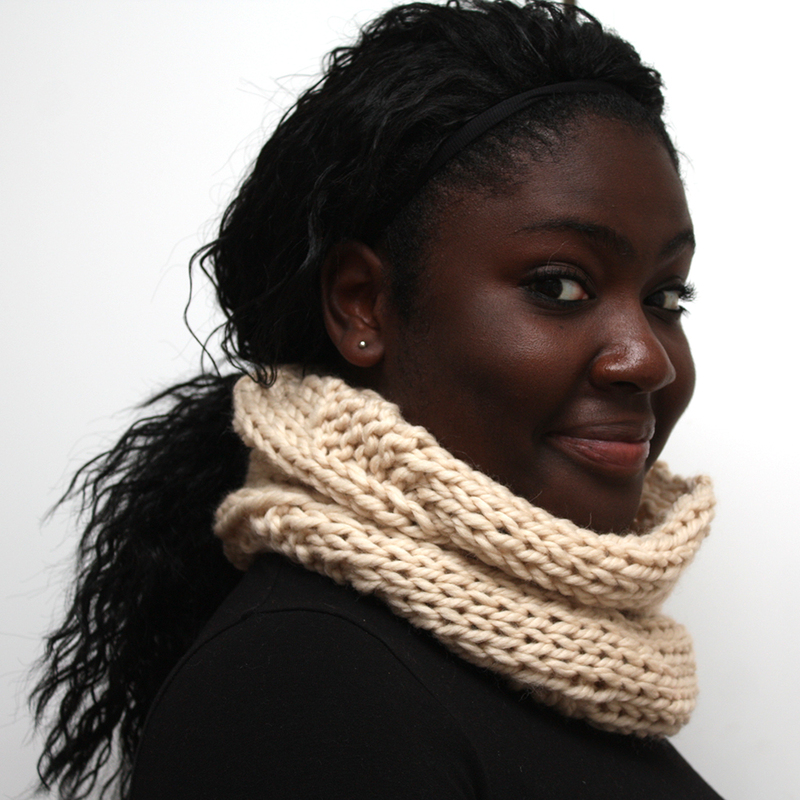 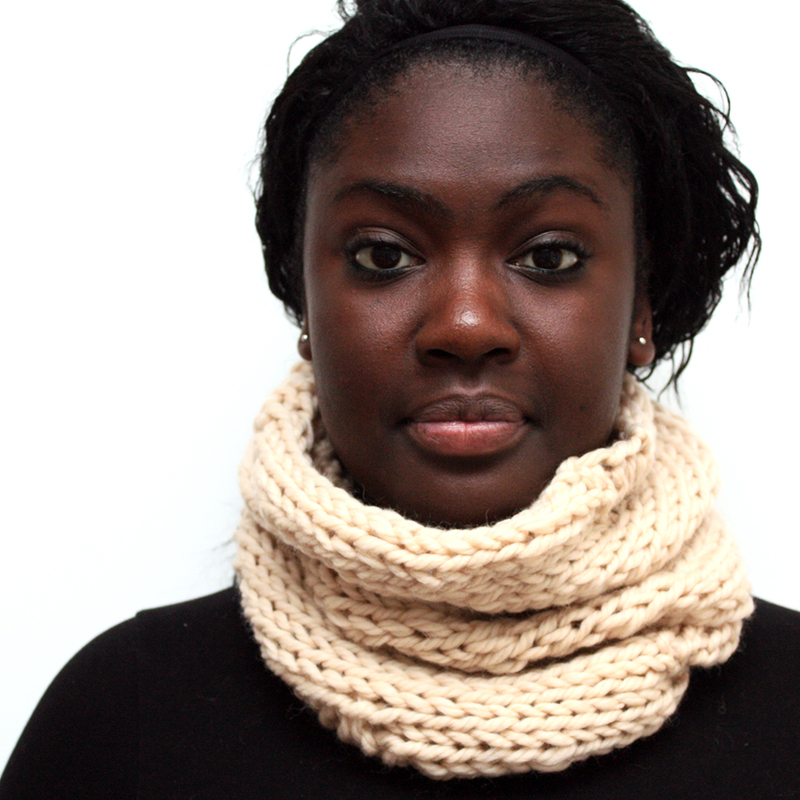 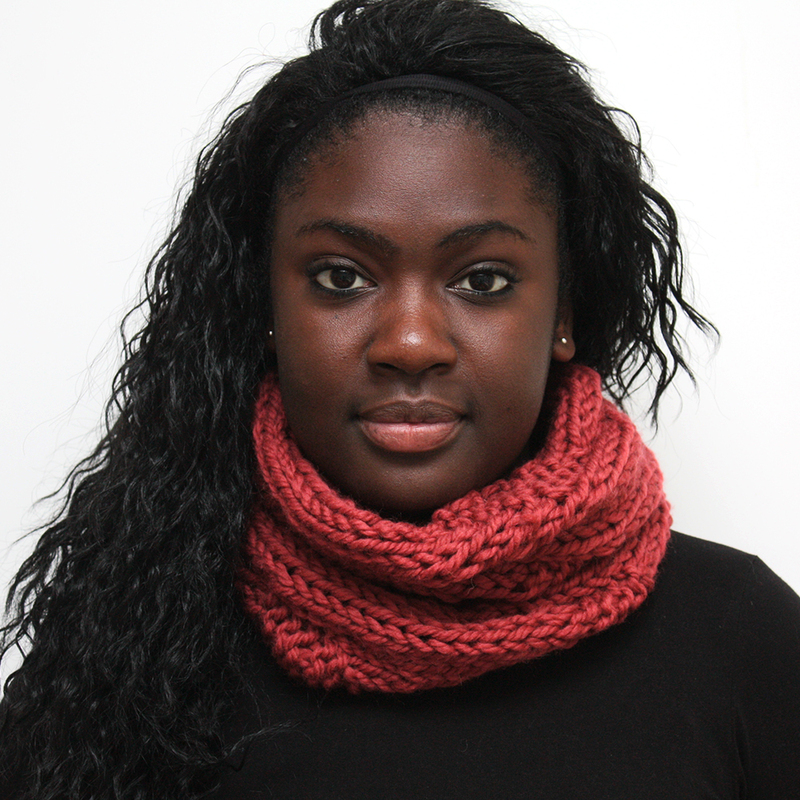 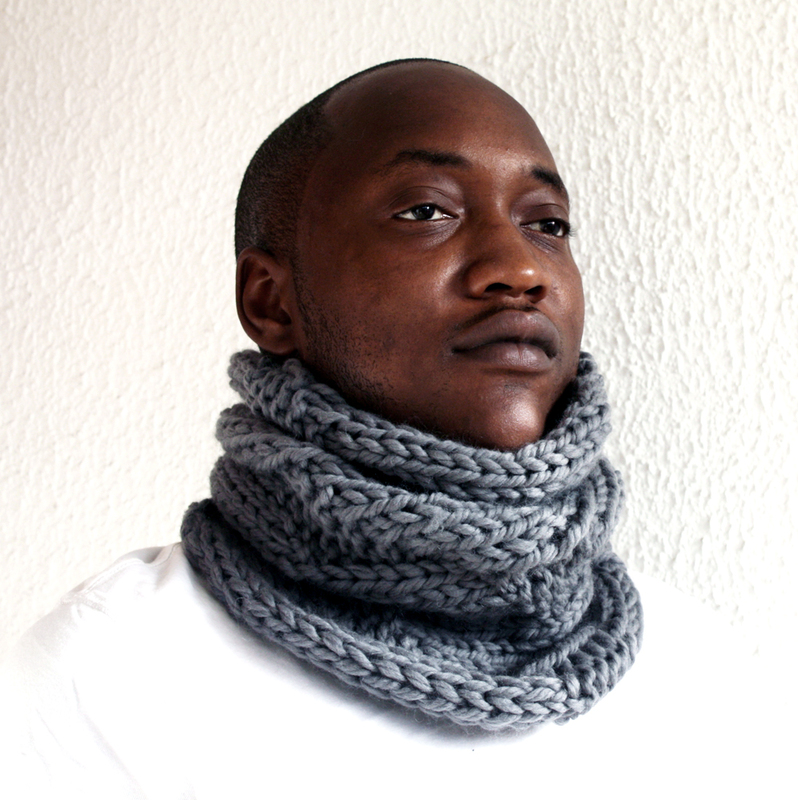 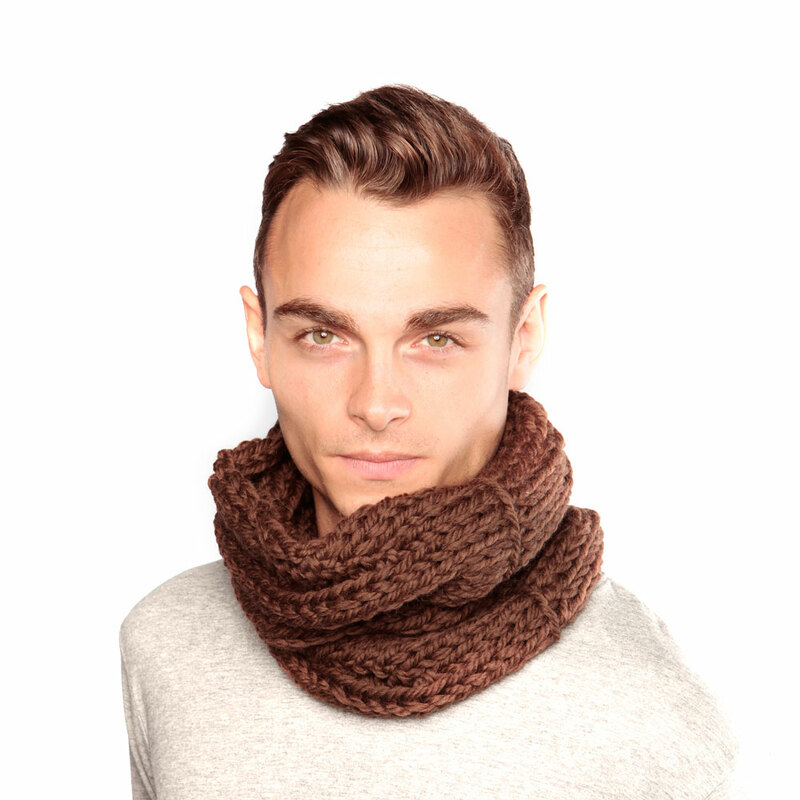 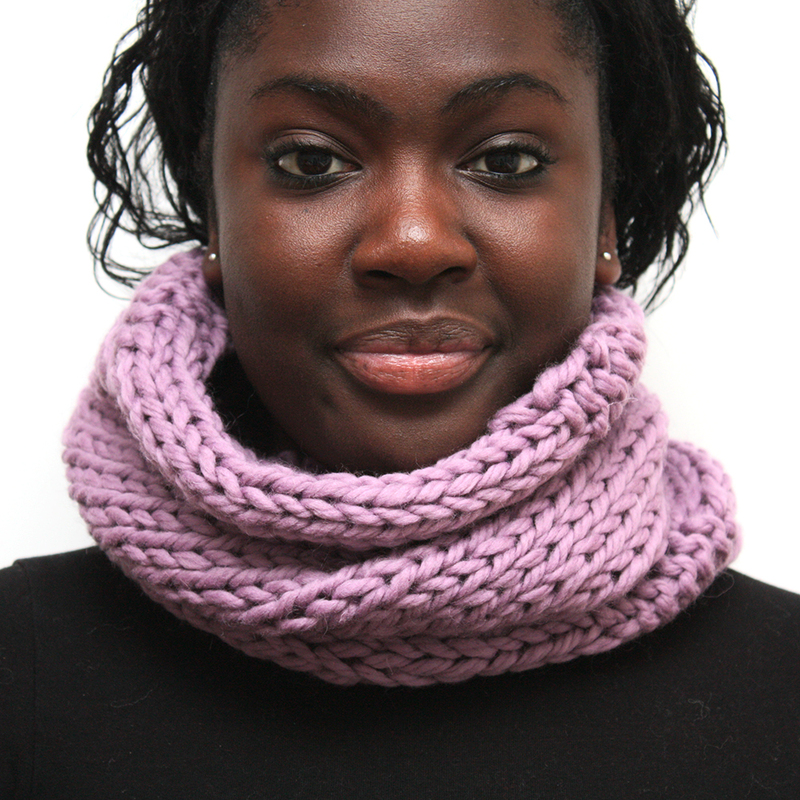 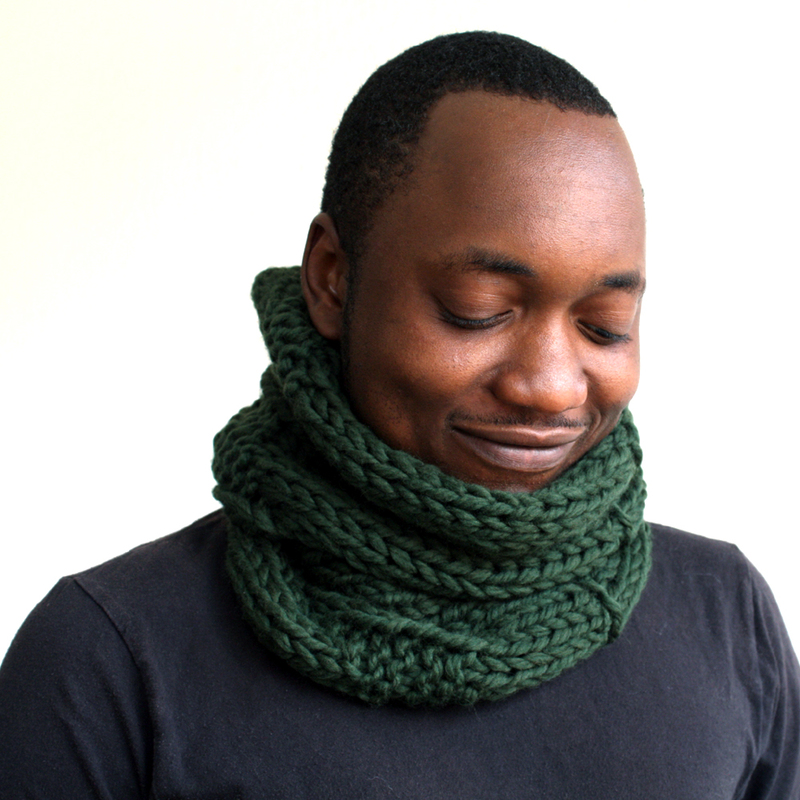 This cream knit snood (also known as a cowl) simply slips over the head to keep the neck warm. 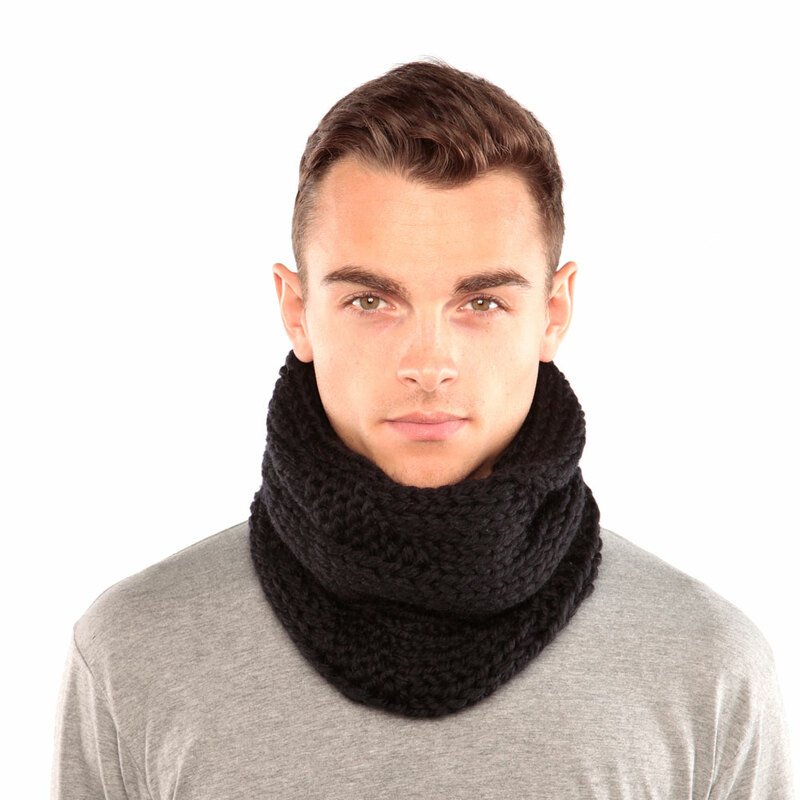 It is stretchy so it is worn very easily. 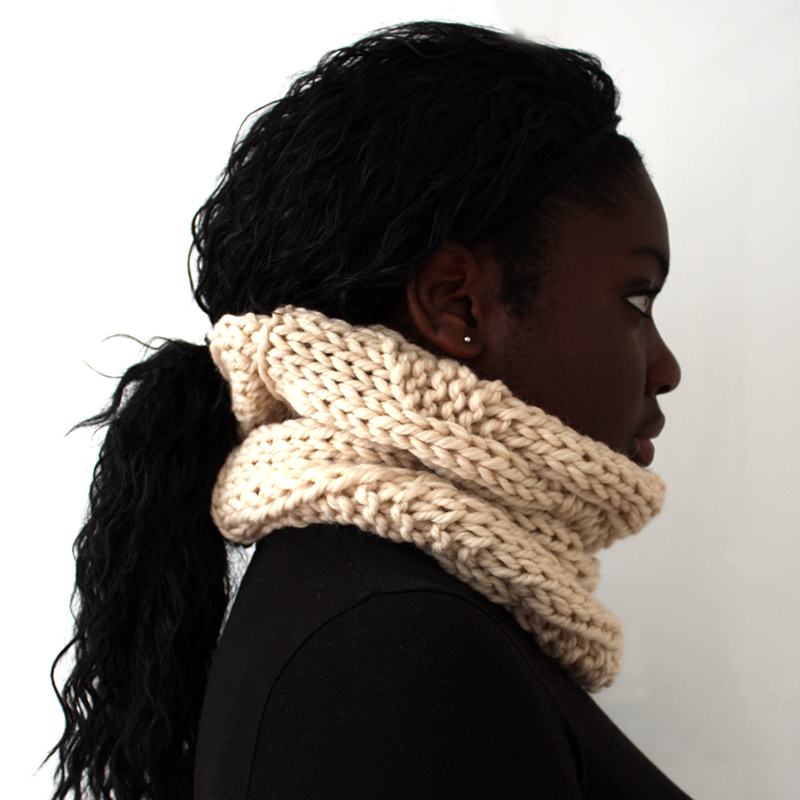 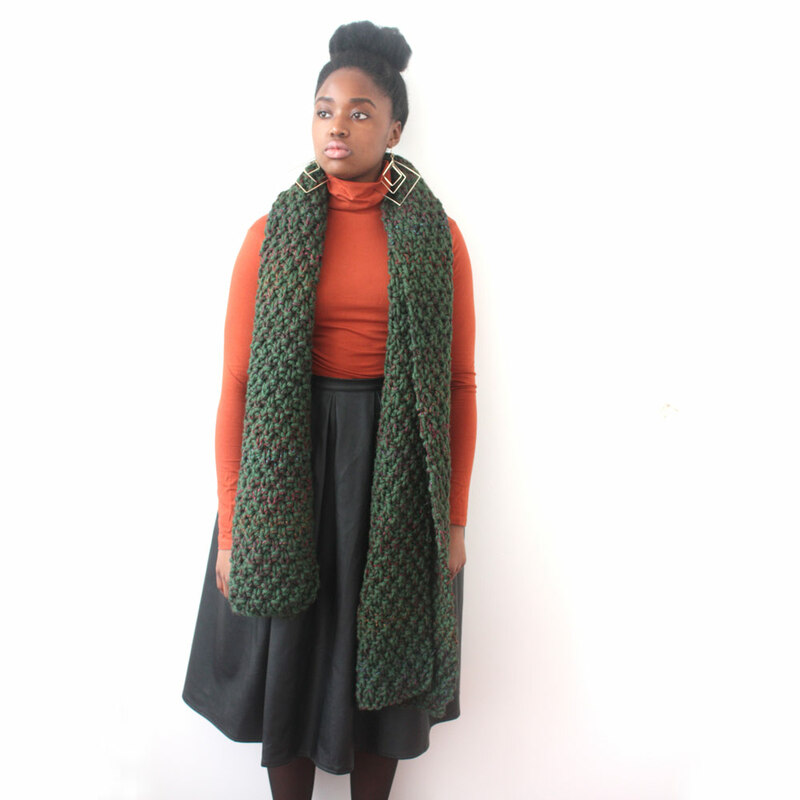 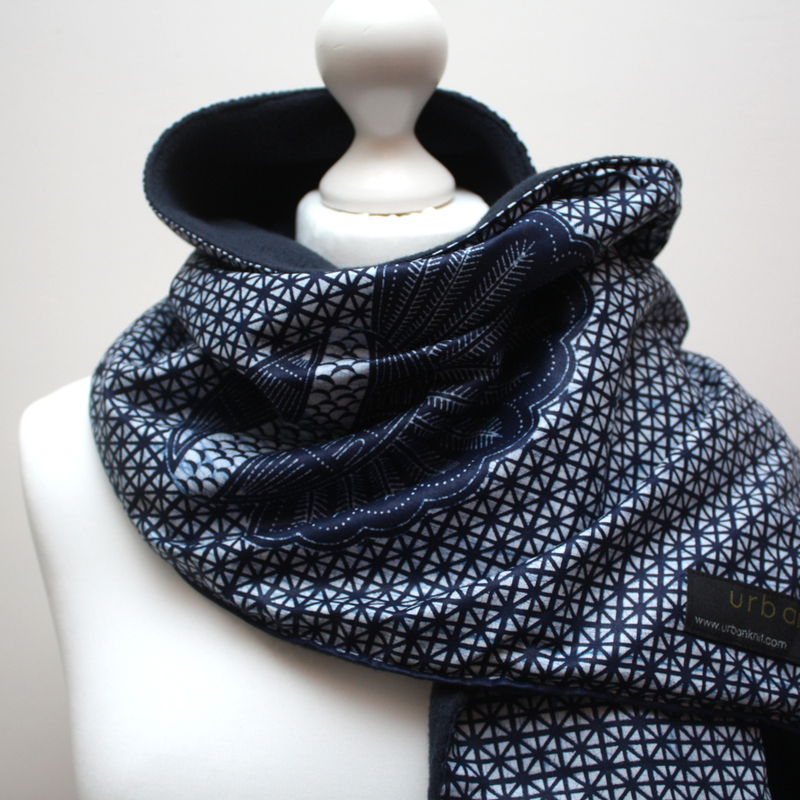 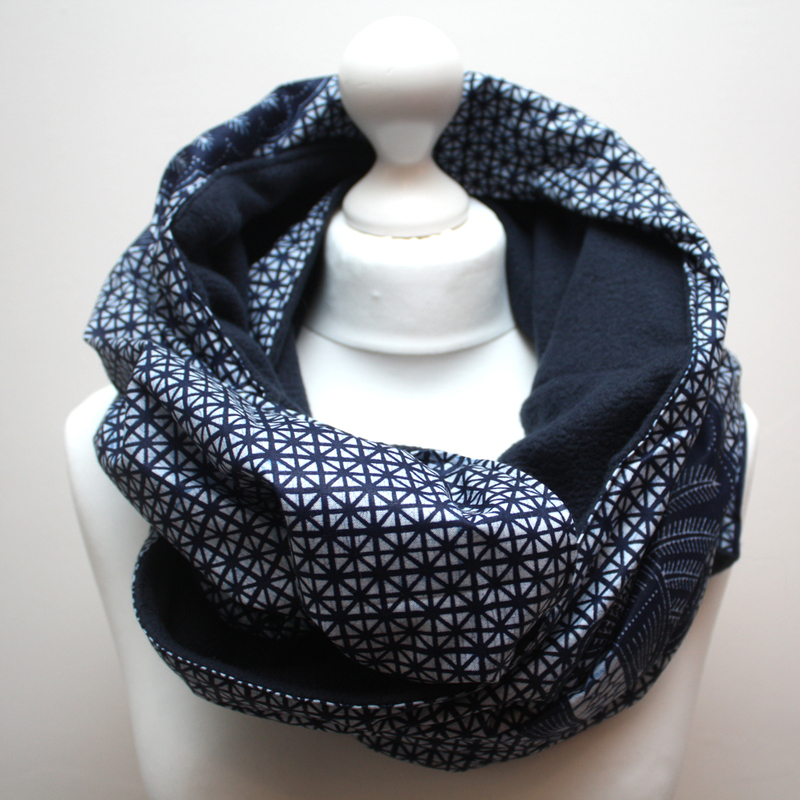 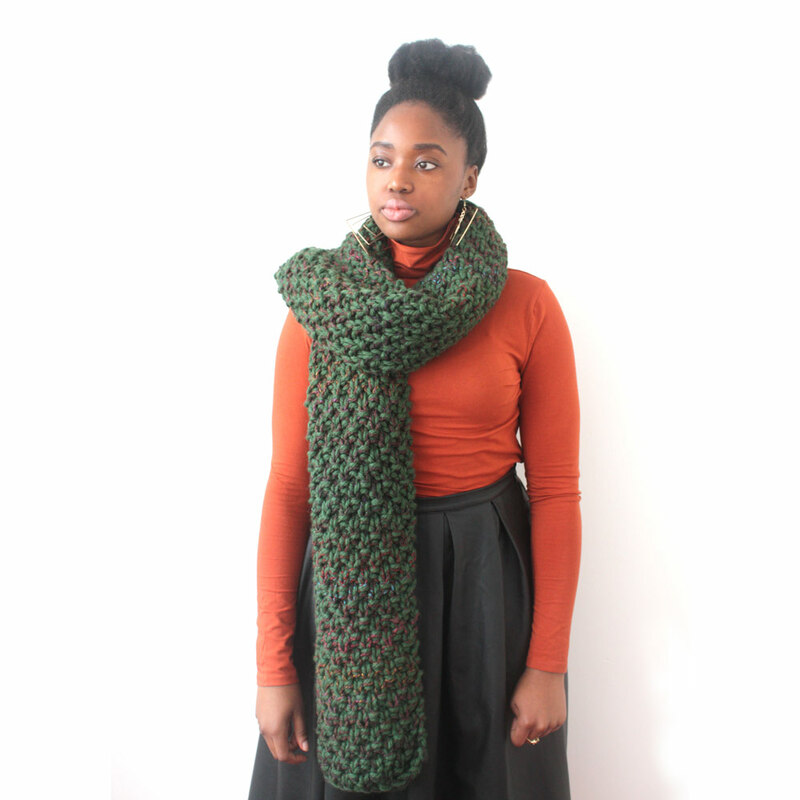 It makes a great alternative to a long scarf and it sits easily above your coat/jacket or under it. 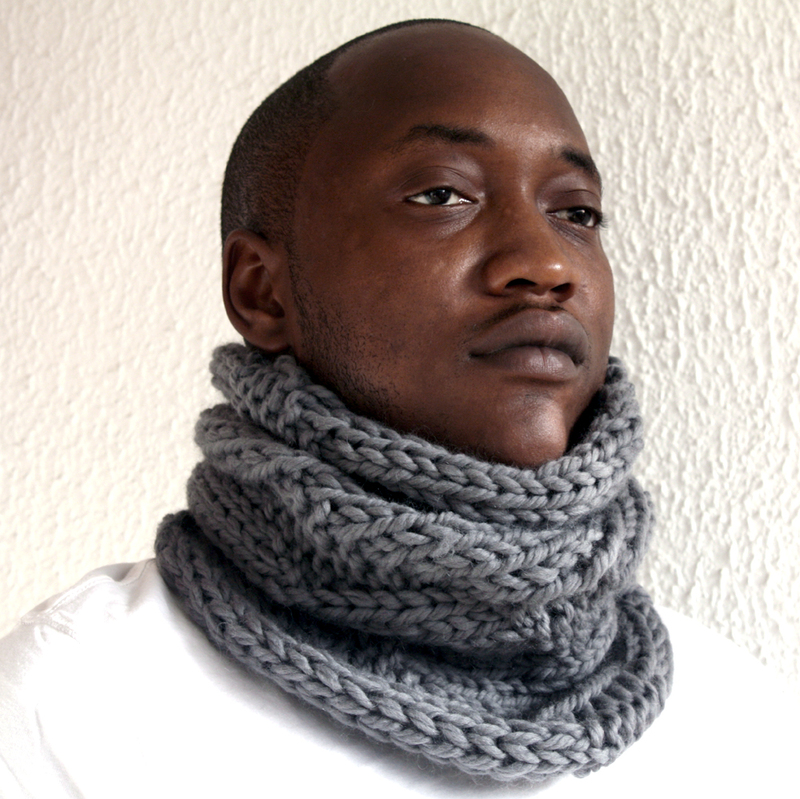 It can be worn in so many ways and even big enough to slip over the head to form a hood. 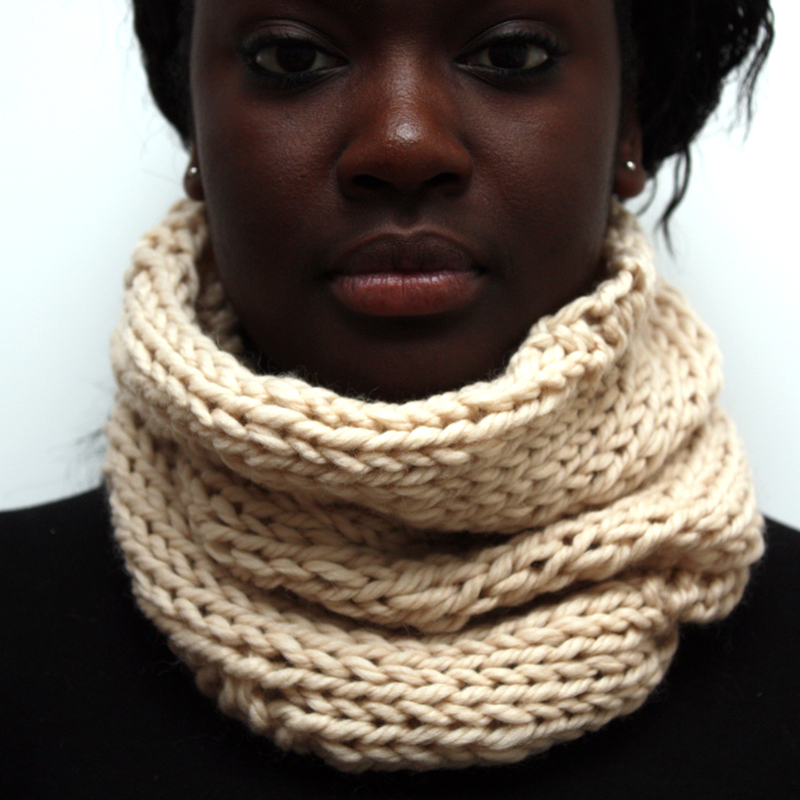 A cream knit snood in this chunky knit style would make a great accessory for the autumn and winter.